This is an encaustic piece called Pie Anyone? This lady is serving pie to her family and friends on Little Moose Island. 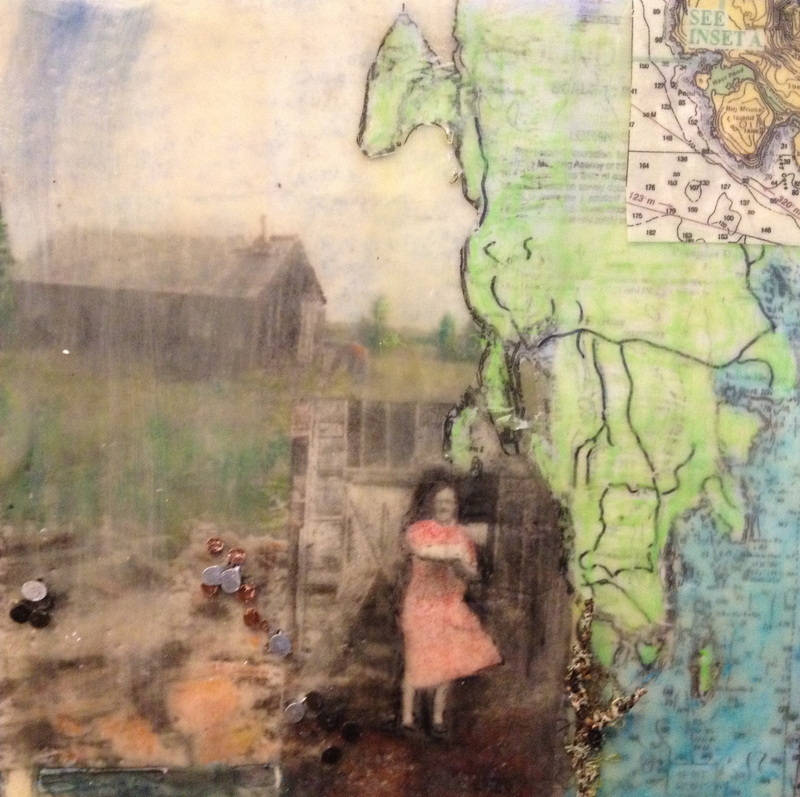 This mixed media piece was made using vintage photographs from the collection of Coombs family photos. Join us on Sunday, May 5, 2013 from 1-4pm at Hammond Hall in Winter Harbor to see the works and talk about our memories of living in here.